AirPulse launched A200 at the end of 2016 and A300 at the end of 2017. Then, at the beginning of 2018, the most compact one, A100, appeared. We've known that, AirPulse A200 is the first product after Mr. Phil Jones' brand AirPulse being invested by Edifier. 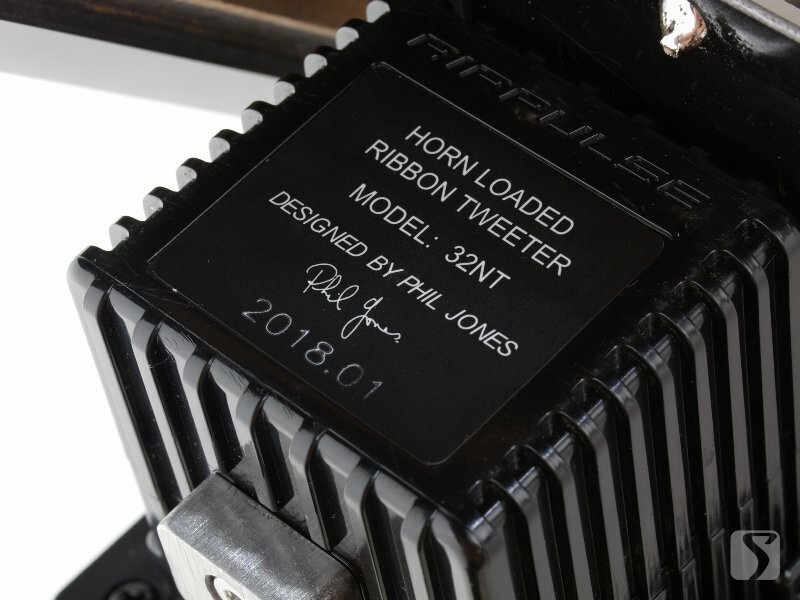 Its aluminum-ribbon horn loaded tweeter inherits the mechanism of the tweeter of the famous speaker system 7001 by Phil Jones in 2005, and its 5.5 inches cone mid-woofer, with short voice coil, long stroke and aluminum alloy frame, also costs pretty high. 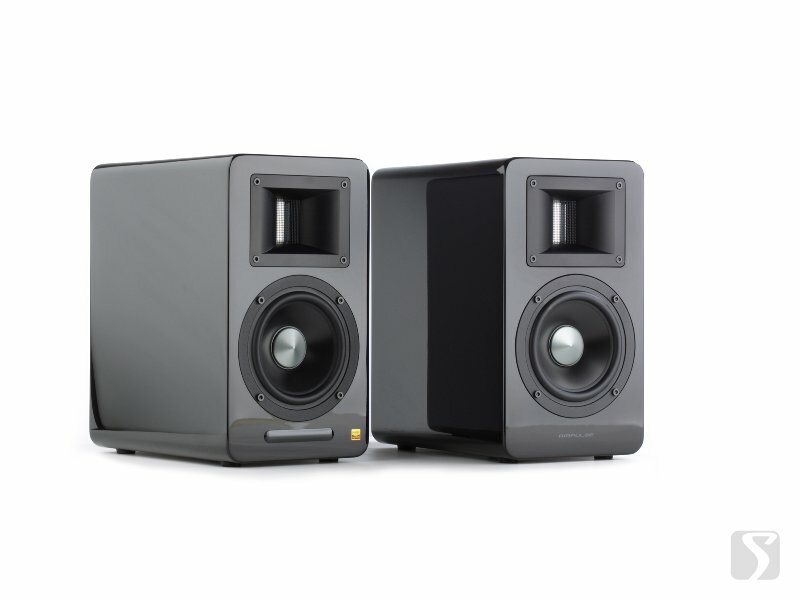 A300 is a bigger-sized speaker system going public after A200, with a scaled up appearance of A200, the same tweeter, and the woofer sized up from 5.5 to 6.5 inches. Certainly, there is fine tuning on active crossover and functions. And today we are going to test A100, a model that looks smaller with more changes. 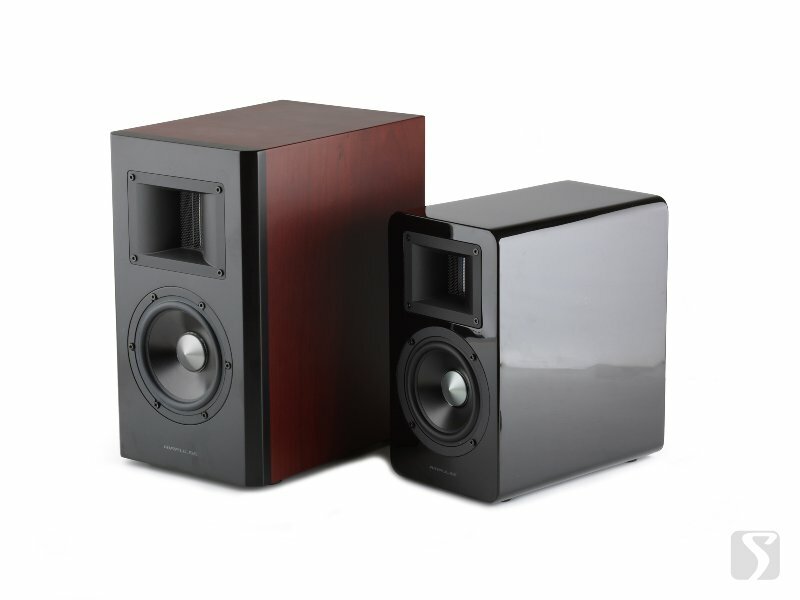 The most important change is A100's tweeter size, so its tweeter is not the exactly same one as A200 and A300. As well, the mid-woofer turns out to be 5 inches. Although its core structure is basically remained, it is the first time that such woofer appears. The speaker cabinet is designed differently from A200 and A300. Its depth ratio is relatively increased along with four angular edges and corners being rounded, making its volume decrease much more. The adoption of piano lacquer actually makes A100's appearance style apparently different from those of A200 and A300. A100's official price is slightly lower than A200's, with the black version sold at RMB3,180 Yuan(about $495.25) and the special red version at RMB3,580 Yuan(about $557.55). 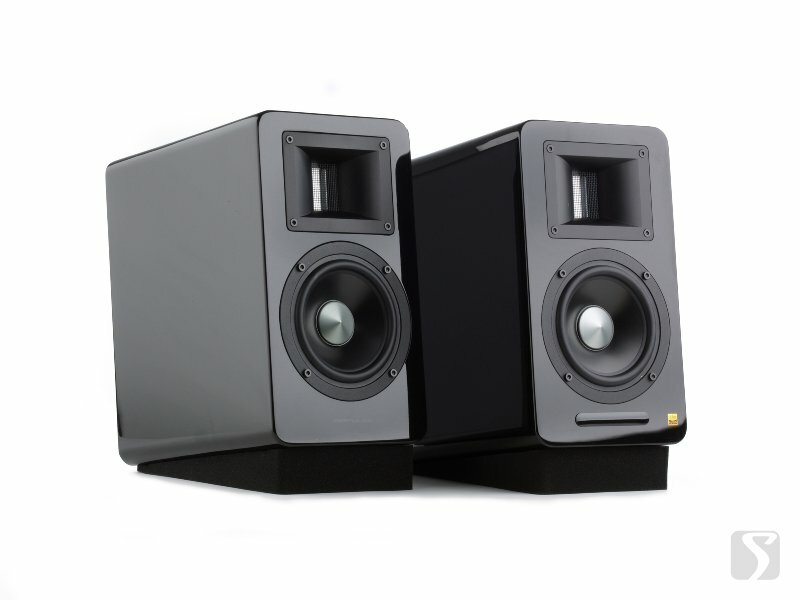 Appearance & function:The appearance of Airpulse A100 speaker system can be viewed clearly through the photos and its comparison with A200 and A300, and it has obvious differences on appearance designing style compared to A200 and A300. 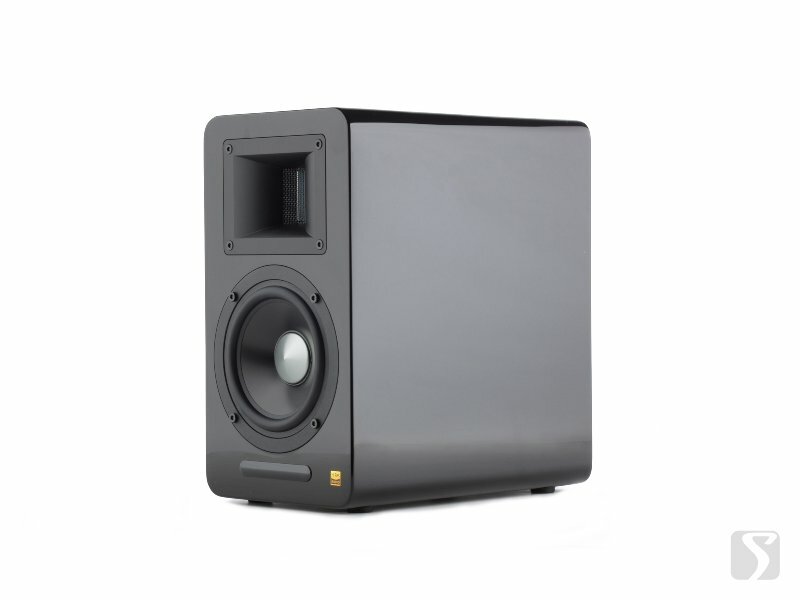 It adopts a 5" woofer, rounded design for four vertical edges and corners, and a speaker width decreased to the smallest extent, all of which make the speaker units narrow and the whole visual effect tinier(the cabinet's actual dimension is 160*283*255mm, but with round corners). 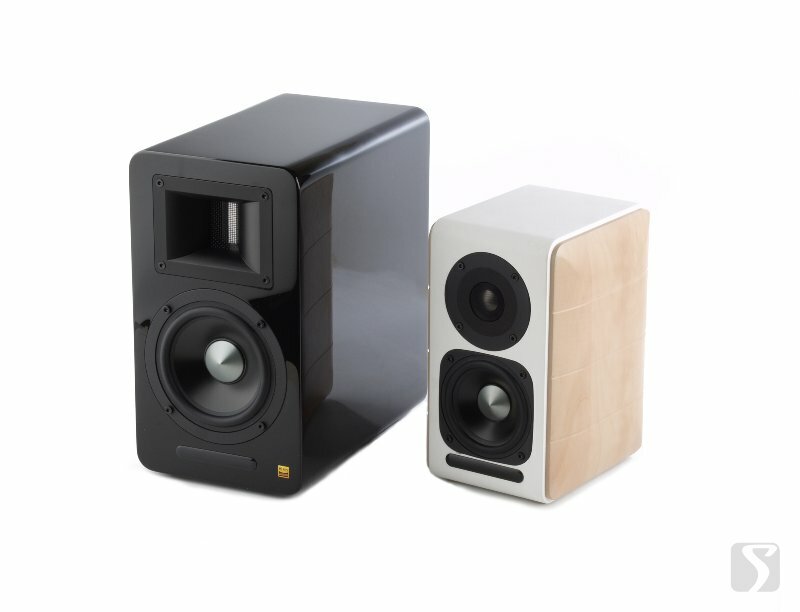 The A100 cabinet is built with 18-mm thick high-strength MDF, which is quite enough thanks to the mid-woofer's shrink, while A200 uses 25-mm thick MDF. 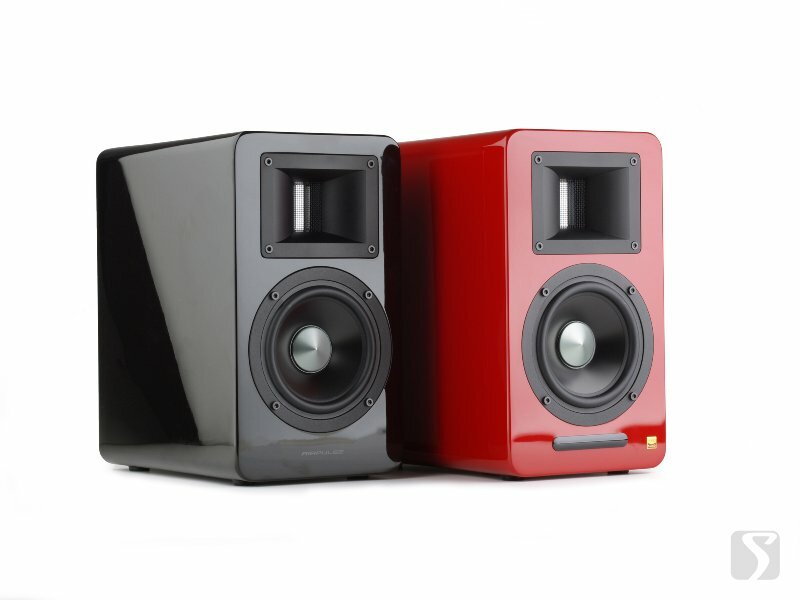 The A100 speaker cabinets are finished by black and red piano lacquer. The later color version is said to be a special edition, perhaps limited, so its price is higher. The speaker system remains the design of active and passive speakers, with its circuit and power amplifier in the frontier one. 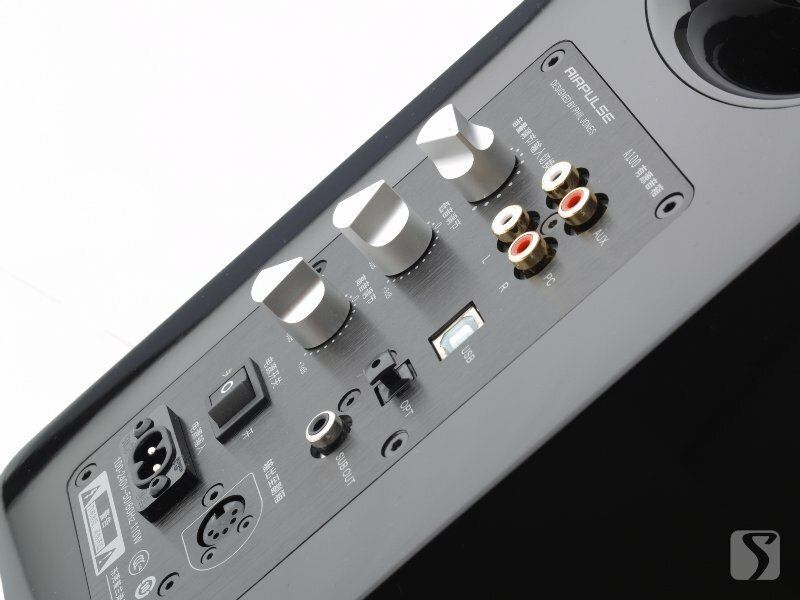 Also, a 5-meter high-quality connecting cable is provided for the two speakers, and this time the cable's quality is better than cables of S2000MKII and former models. 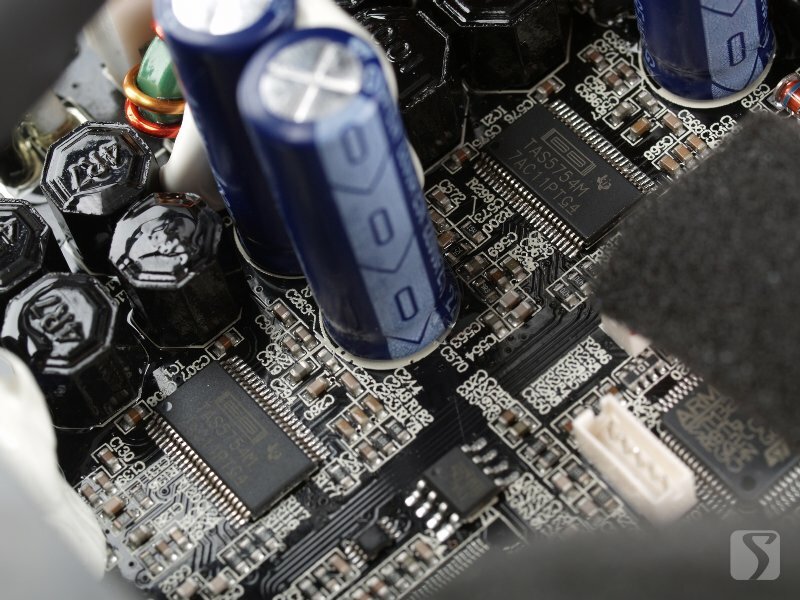 On the backside of the active speaker, there are several relevant ports. For input, it can support two sets of RCA analog input with the sensitivity of PC input being 550mV and AUX input being 450mV. A USB type B port enable the system work in USB DAC mode, directly connecting to the computer (XMOS solution doesn't seem supportive to mobile phones so far). One thing to note is that, there is a square optical input socket for digital input, and the RCA socket beside it is not a coaxial input but interestingly a subwoofer output. This time, A100's remote finally has some adjustments on function buttons, although its overall appearance has not been changed. It is obviously that the button operation is much more reasonable after the adjustment. 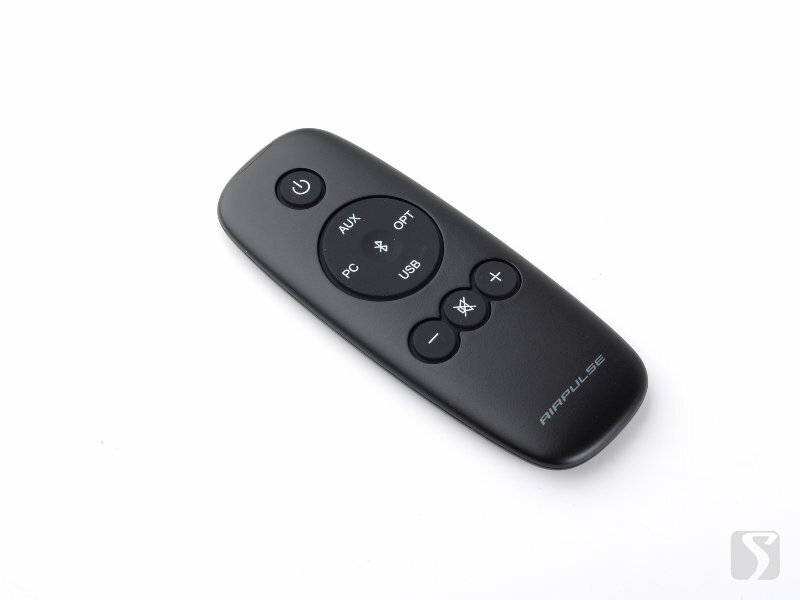 Exact remote functions are shown in the picture. The status indicator, on the front side of the active speaker, also becomes a LED strip switching with captions. For A100 of such small-size, this status indicator looks more favorable than A300. Moreover, since A100 might be considered to work on desks for its tininess, it has a pair of elevation cushion made by hard sponge as is shown in the picture. Speaker Unit: As for tweeter, although A100 inherits the structure of an aluminum ribbon and a horn, its whole size is smaller than that of A200 and A300. According to the official introduction, its performance is still outstanding. 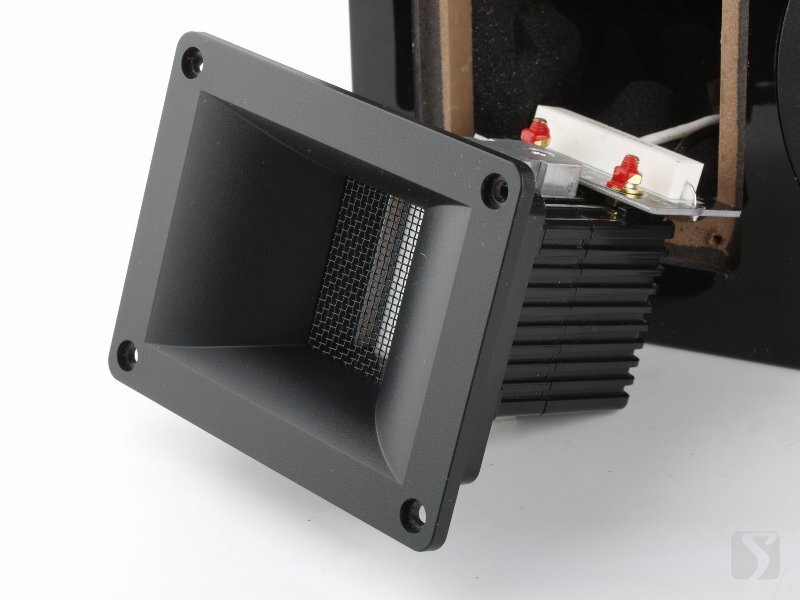 An aluminum ribbon tweeter has a very thin aluminum ribbon film in the magnetic field. Because its length is almost the same with the tweeter's vertical height as we can see, it is too much shorter compared to the tweeter weighted in the magnetic field after several voice coils, even if it is easy to control. Therefore, it also needs a magnetic filed with higher magnetic flux density in order to ensure an energy switch strong enough. 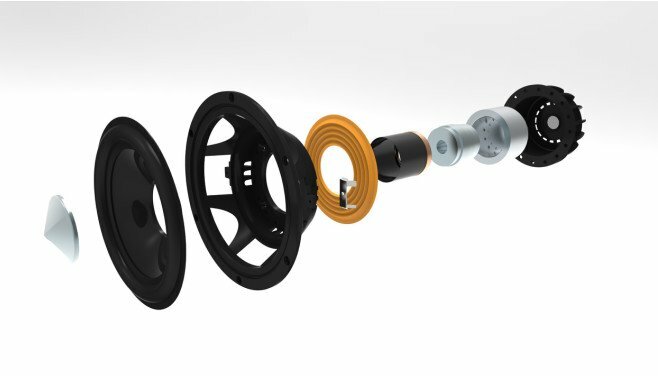 As for mid-woofer, A100 still adopts the design of underhung coil and long stroke. We can know its advantage by the explosive view picture and the latest explosive view picture with black background. 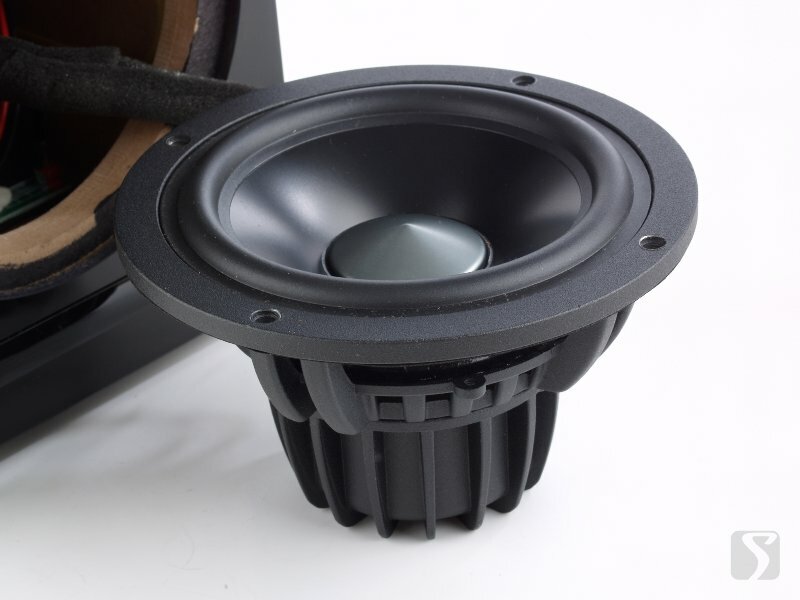 That is to say, the woofer's piston motion keeps the voice coil stroke within the magnetic circuit and ensure even force on the voice coil all along, but for the shortness of voice coil, the magnetic field requires higher magnetic flux, making the cost of magnetic steel increased. 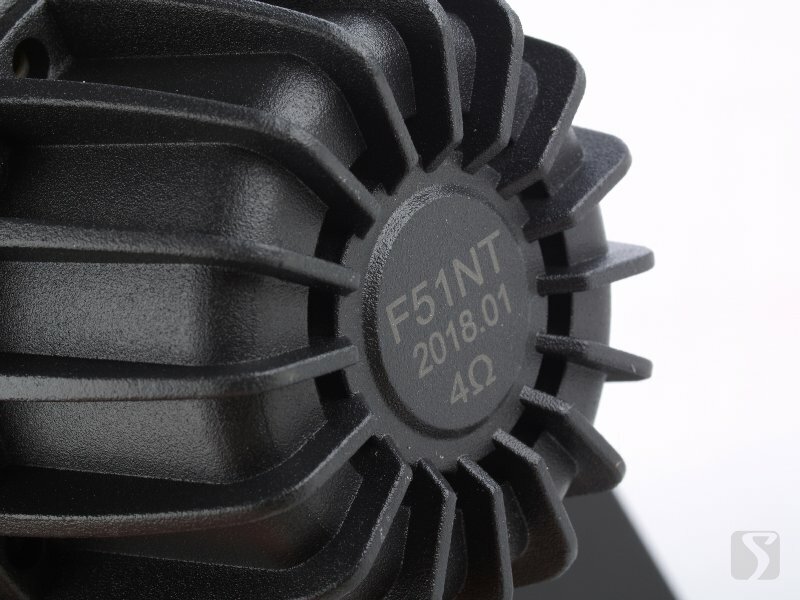 The mid-woofer inherits the fully-cast aluminum frame and the aluminium and magnesium ally diaphragm. The basic core technology has not changed and the fabricating cost keeps relatively high. We would not introduce the details of loudspeaker technology here. If interested, you can look up the second page of A200's review for reference. Internal circuit: AirPulse A100's inner structure must have remained unchanged. But for small-sized loudspeakers, we can get rid of the problem of insufficient power on bigger-sized loudspeakers such as A300's. We also ever doubted whether the XMOS active crossover is good enough on A300. Perhaps we can use A100 to testify by this time. 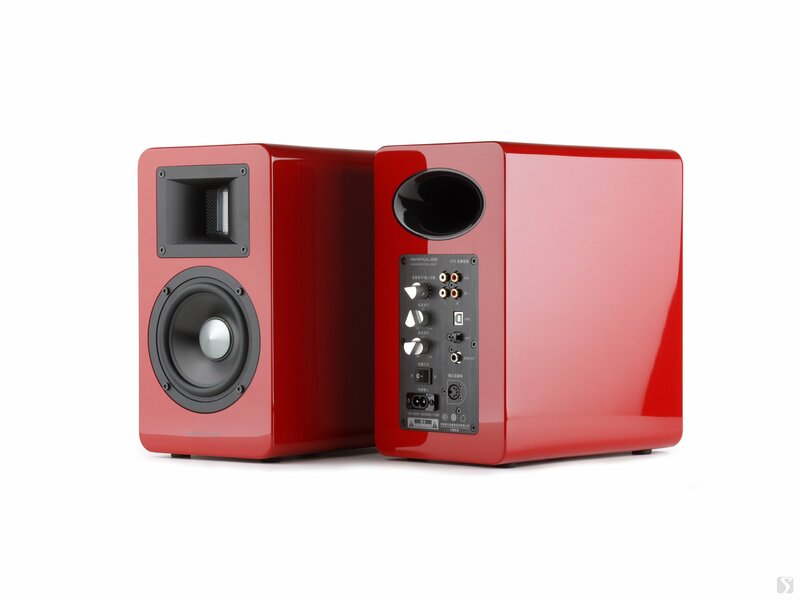 AirPulse A100 follows Edifier's continuous design of active crossover and class-D amplifier from R and S series. The system control part is built with STM32F series ARM Cortex MCU from ST, and the crossover part has been carried out by XMOS xCore200 since A300 instead of TI TIL320 series DSP chip for former models. 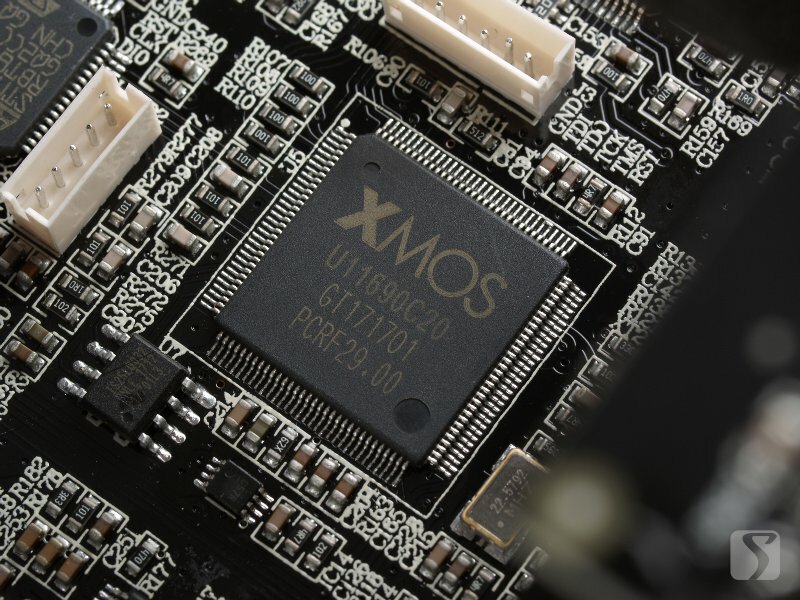 This piece of XMOS chip is also in charge of the USB audio interface, namely that the speaker system can work in USB DAC mode. The benefit of crossover, apart from the more flexible and accurate design, is that the signal after it can be amplified according to different demands. In other words, the power amplifier for treble and bass is specially designed for the loudspeakers, which is the greater advantage of the combination of crossover and digital amplifier. A100 uses two pieces of TAS5754M Class-D amplifier from Texas Instrument to respectively amplify treble and mid-to-low range channels, namely one piece powering 10W*2 for the tweeter and the other powering 40W*2 for the woofer(40W*2 is the official figure, but TAS5754M's nominal output power is 40W. It is built in mid-woofers for each unit). 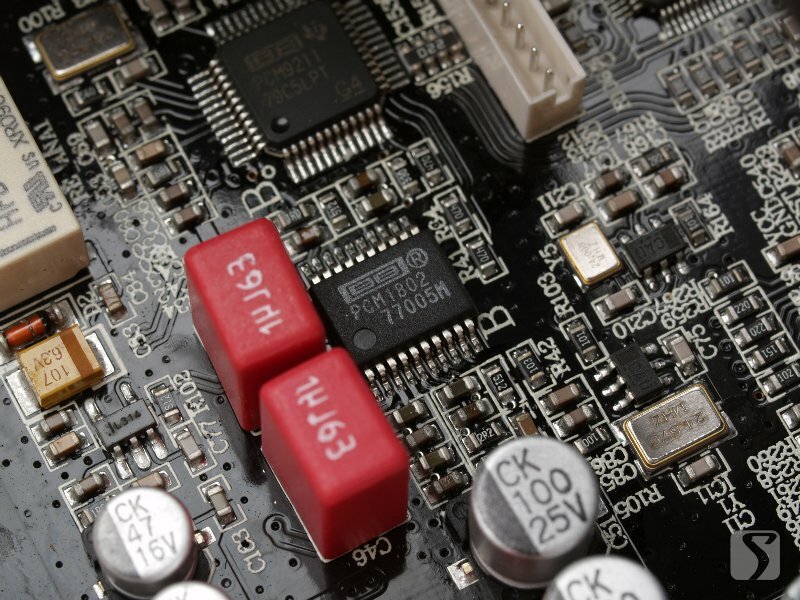 As for signal input, AirPulse A100 adopts PCM9211 for input interface, and PCM1802 ADC for the A/D switch between analog and digital input. For Bluetooth wireless connection, the receiver features the CSR8645 chipset supportive to apt-X audio decoding and the dual device connecting of Bluetooth 4.1. 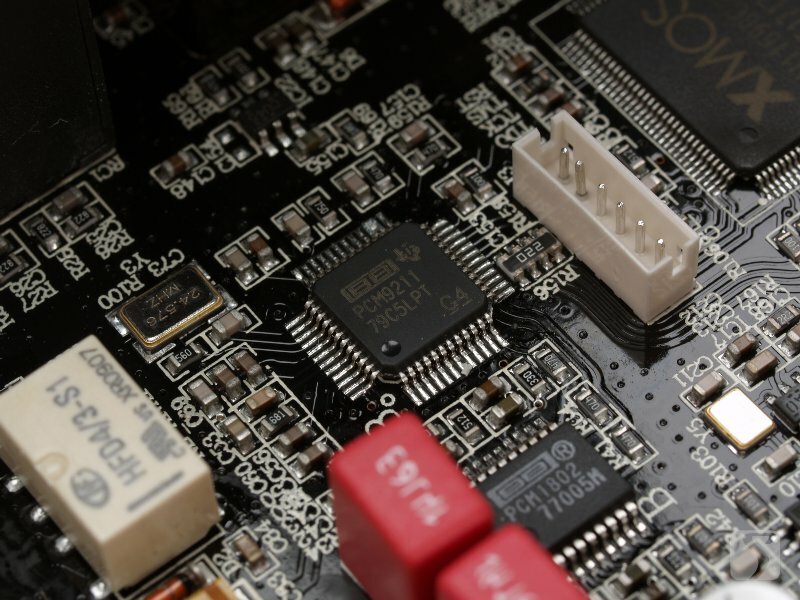 One thing to note is that, because of the limitation of TAS5754M digital power amplifier, A100's digital part all supports sample rate up to 192 kHz, but does not support 2x or 4x over-sampling in 44.1 kHz. Generally speaking, AirPulse A100's configuration is expectable. The major change is the all new adjustment according to the different demands of loudspeakers and cabinets, which we can only test through real-hearing experience.